Now if you are like most people, me included, you are suffering from a severe disorder. 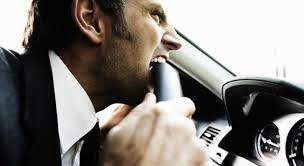 If you are like me then you too have either had or currently have road rage. The ranges of the rage vary and the different events on the road spark different reactions. Bottom line, someone needs to speak out about those driving WTF’s that people were supposed to learn not to do in drivers ed. Hopefully we can at least get one person to drive a little bit more better because depending on where you live we NEED someone to educate them. While I'm sure you’re screaming at them does tell them that you are upset, they are probably unaware that they are doing something bothersome. Now if you are the one who we are all yelling at . 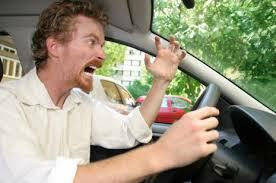 . . well allow me shed some light by telling you some things that irritate the drivers with road rage. · Driving slowly in the left lane. Whoever decided America didn’t need an autobahn, (highway in Germany that is fairly straight which allows for drivers to drive fast in the left lane), here . . . was probably a hater. Regardless of speed limit laws, generally in America the left lane is often the passing lane (depending on the state you are in). Legally passing requires for one to use the lane on the left to pass the driver in front of you. So if you are just cruising in the left lane, you are also angering the person behind you who feels like where they are going is way more important than you. 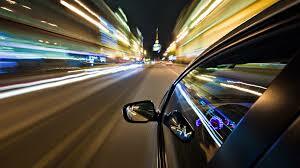 · Using your turn signals improperly or not at all. So the purpose of the turn signal is to tell other drivers on the road where you intend on taking your vehicle. Failure to do so not only causes confusion but it can cause accidents. 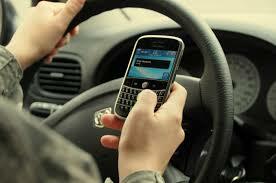 · Using your phone while driving. This causes not only sooooo many accidents but you sir/ma’am on the phone are NOT paying attention to the road. You are not 100% aware of other drivers or what how you are driving. You are also the one not moving at the green light while everyone is honking behind you. 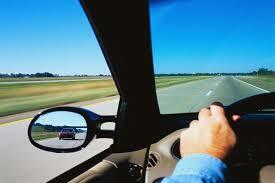 · Driving either ride beside someone, or in their blind spot. I hate that. Wow. Being right beside someone is annoying but being in their blind spot is unsafe! The blind spot is the small area in the back corners of the car that are not able to be seen using the mirrors. That’s why it is super important to do head checks to make sure there is not anyone there before you move. · Tailgating. I'm not talking about the fun pre-gaming you do before a football game. Tailgating is following someone too close. Why is this dangerous? This is often the cause of those 3 or more car pile-ups. · Don’t speed in the rain/snow. Not a good idea. I could probably go on all day about driving tips. I’ve been hit enough times by negligent drivers. So people please pay attention in drivers ed and then take that knowledge with you on the road. Remember it’s not just you on the road. Your mistakes can cost the lives of others! On the flip side, we have to try to not to rage. Come back next week to check out my tips for staying calm!